Quick links, scroll down page to see expanded and complete list of articles in each category - over 1000 articles! Over 30 'typical day/week' articles by Australian home educating families. This "fly on the wall" look at what actually happens will both inspire, reassure and encourage you. 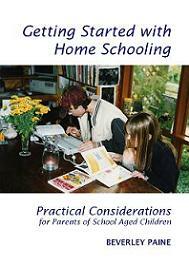 Beverley Paine's best selling manual on homeschooling takes you through the basics of how to write learning plans tailored to your child's individual needs. Finding the 'right' curriculum can be daunting... Beverley summarises the most popular approaches and guides you to asking the kind questions that will help you determine if it is the one that will work for your child and suit your family's situation. Price incluldes postage, eBook available. Budgetting - How much does it cost? Price incluldes postage. Titles also available individually. Drawing on her obvious enthusiasm for geography Beverley shows how to integrate this subject into your everyday life in simple, easy and achievable ways. With chapters on why teach geography, it's benefits, how to monitor your children's learning as well as checklists. 100 Strategies for Teaching Geography only $5 Price incluldes postage, eBook available. 8 booklets that use games to enhance your children's laerning. Launch unit studies, spark interest, or use to reinforce childrne's specific interests, increase their skills and knowledge or consolidate previous learning. Educational Games Booklet Series only $32 Price incluldes postage. especially for our younger readers! Submit a story, picture, poem, etc today! Homeschool Unschool Australia Magazine back issues are still available as e-books. Are you coming to the Summit? I am continuously adding to this comprehensive collection of articles and hope you find them useful on your home educating adventure. Feedback and comments welcome. The information on this website is of a general nature only and is not intended as personal or professional advice. 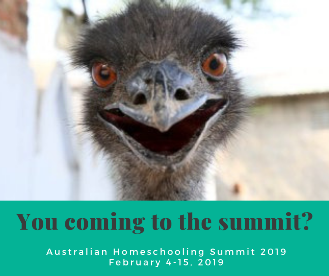 The Education Parent merges Beverley Paine's Homeschool Australia and Unschool Australia. Since 1988 Beverley Paine has steadfastly promoted and supported home education as an educational choice for Australia families. Her books and websites aim to demystify education, gently deschooling families so that they may meet their children's individual and unique educational and developmental needs. Her honesty, insights and wealth of experience continues to bring hope, reassurance and confidence to families. books, ebooks and booklets by Beverley! After 20 years of being a contact and support person Beverley no longer takes phone calls. Please join one of her yahoo groups if you want to ask specific questions about home education. As her children grew into young adults Beverley realised a long cherished ambition to write fiction. Her first novel, a science fiction story aimed written for teens, The Chimaera Conspiracy, was published in 2002. Her second novel, Summer Storm, is being currently submitted to publishers. Beverley is currently working on three new booklets in her practical home education series. Are Virtual Schools the Future of Homeschooling? Are Newcomers Calling Homeschooling Unschooling? Confused by all the Aussie Home Ed sites? Is Enrolling your Child in a Virtual School Still 'Homeschooling'? Home school or home education? How do you know it's time to homeschool? How Many Instruction A Day? New to Homeschooling? A quick guide to the Homeschool Australia suite of websites. What is Your Homeschooling Life Like? Home educating families face the same objections and get asked the same questions over and again. Beverley draws on her 3 decades of experience to help parents feel confident when answering the many objections and comments relatives, friends and strangers raise. She offers a selection of answers to over a dozen of the most popularly voiced objections to homeschooling you are likely to encounter. Answering the Question; Why Aren't You in School? Are Parents Without Formal Teaching Qualifications Equipped to Home Educate their Children? A Visual Demonstration of the State of Education in America and Benefits of Homeschooling. Pestered by Anxious Friends About Your Decision to Home Educate? What do you do if the grandparents are poisoning your child's mind against homeschooling? Low on Cash and Worrred that Homeschooling Witll Cost Too Much? Unit Studies Could Be the Answer You Are Looking For! A refreshing practical approach to unschooling based on the needs of the child and family which demystifies and simplifies the philosophy and practice of this style of home education. Using a question and answer approach Beverley Paine uses real examples (with names changed) to help parents better understand how natural learning and unschooling can enhance learning from home. Price incluldes postage, eBook available $5. Do homeschooled kids end up homeschooling their kids? Will homeschooling always be this be fun? What is Wrong with School Education? Over 60 fundamental questions asked by families new to homeschooling are answered in this 36 page booklet, including how much does it cost, is it possible with large families, how much time a day does it take, is it legal, where to find resources and materials, etc. Will My Homeschooled Child Be Able to go to University? Home Educated Teens Spread their Wings! Homeschool Graduates: Beyond Homeschooling, What Next? Moving into Adult Life: The Final Years of Home Education? Beat the home ed blue-bugs! Get Rid of those Cranky or Bored Kids! When Homeschooling is Working Well, Resist the Drive to Change It! The Hidden Costs of Homeschooling and Why They Don't Matter! How do you get fathers involved with home education? Nelson: "Outcomes Based Education System a Form of Cancer"
Could You Pass This Senior's Exam from 1895? Should Homeschooling Parents Pay Others to Keep Records for Registration Purposes? What Do I Do When My Children Forget What They've Learned? A Current Affair - News... or Roadtesting Products? Growing a Forest in our Backyard! It's finished! Or is it? Best Place to Start... A Defining Task! Can I Teach my Schooled Child at Home? Can Parents Be Good Teachers? Do You Realise You Have a Learning Style? Five hours a day of instruction? How Many Hours Do We Have To Spend Teaching Our Children Every Day? How Useful are 'Learning Style' Labels? If You Are a Parent You Are Already Educating Your Child! What are you required to teach your child? Your Trusty Homeschool Emergency Kit! Will Your Children Homeschool Their Children? Are You Inadvertantly Making it Harder for Your Children to Learn? How do you teach someone who is dyslexic to read independently? Learning Difficulties or an Opportunity to Learn Brilliantly? Learning Difficulties and Differences or an Opportunity to Learn Brilliantly? Do you really need that awesome educational resource in your homeschool? Are your kids after using screen technology? Do You Realize You Have a 'Learning Style'? Food Sensitivities or Total Stress Load? How Can I Turn My Child's Brain Back On? All State and Territory information is now inclulded in our FREE The Educating Parent Resource Directory, a handy pdf you can download onto your mobile phone or computer and refer to whenever you need information about getting started, registering, finding a local support group, and more. To add your support group, family business, homeschooling or unschooling blog to our Reource Directory please email Beverley, The Educating Parent. A Change of Federal Government - What does this mean for Home Educators? Can I De-Register as a Homeschooler? Do We Need a National Home Education Policy and Authority? Historic Application for Exemption from Attending School? How Many Home Educated Students in Australia? Legislative Review: Should We Become Involved? What If We're Not Registered Homeschoolers? Don't waste time worrying! Have a go! Help! I'm a homeschool failure! Homeschoolers... Families Living Extraordinary Lives! Is It Time for a Teacher Make-Over? It is okay to relax and play, learning happens doing that too! Busy Homeschools can be Clean and Tidy Homeschools Too! Kid Free Time - Is it Possible? Organise Your Life with the Help of the FlyLady! Profile of a Homeschooling Parent: How Many Jobs Do You Have? Avoid the Smorgasbord Approach to Education! Explain Your Motives - it helps! Homeschool FAQ: motivating a 13 year old to 'learn'. Maximising the Potential of the Brain: Use It or Lose it! Motivate Your Homeschooling Kids This Winter With These Chill-Blasting Ideas! My Kids Aren't Motivated to Learn! Can Natural Learning Be Planned? Can Unschoolers Use Resources Designed for Schools? Children must be taught how to think, not what to think: Really? Is Following a Child's Interests Enough? Is Natural Learning the Same as Unschooling? Natural Learning Happens ALL the Time! Plastic Toys and Computers - are they really the ruination of childhood? Questioning the assumption that "children must be taught how to think, not what to think"
The Disabling Power of Certain Words: "Doing Nothing"
Thoughts About Thinking' and 'Working' in Education: Natural Ability or Nurtured Skills? Super Excelling Unschool Grads Anyone? Wants Versus Needs - key difference between radical unschooling and natural learning? What Could Be Simpler Than A Natural Education? What do I mean by 'attentive'? What is the difference between natural learning and unschooling? What is 'On Topic' on an Unschooling Group? Are You a Homeschooling Activist? An Idea to Literally ‘Build' Your Own Homeschooling Community and Cooperative! Planning Your First Home Ed Camp? Want to be a Homeschooling Contact Person but Worried about Being Inundated by Spam? What is On Topic on an Unschooling Group? Why I don't regret not quitting Facebook, yet. Help! Kids Leaving a Mess! Put Some Happiness in Your Pocket While You Homeschool! Will our home educated kids turn out okay? Bullies: Homeschooling a Possible Solution? My Teen Doesn't Respect Me! It's okay to relax and play, learning happens doing that too! What kind of energetic games do your child like to play? Local home educating support groups usually collect examples of approved learning plans and reviews - look in the Support Groups Resource Directory to find a state or local group. Although some of the learning programs and plans below are years old they will offer you some idea of how families home educate their children, record and evaluate. Homeschooling and Feeling Lonely or Isolated? FAQ: How Does Everyone Find Friends for their Children? How Important is it for Homeschooled Children to Be Around Other Children? Is the Internet Good or Bad for Learning? Should I Let Children Learn at Their Own Pace? Stan's Tip 7: Try creating a Learning Group with other homeschool kids. Stan's Tip 8: Make every effort to ensure that your student is confident that he can learn. Can I Homeschool My Teenager While Travelling Overseas? Does Homeschooling Work For Teens? What is oldest age group you can homeschool a child? Thinking About Travelling and Home Educating? Travelling, Homeschooling and Loving It! What is Life Like Without School? What is the most important thing you think your children should do EVERY day? Authentic? Me? Thoughts on Authenticity. Can you be an unschooler if you use a curriculum for maths and English and science? Does Unschooling Suit Self-Motivated or Reluctant Learners? How are they gonna learn anything when they are stuck at school all day? "I'm hungry!" Unschooling principles applied to very young children. Unschooling - What is it? Stuck in the 'planning stage'? Natural Education Skills and Attributes Checklist. Can Children Learn to Read Without Being Taught How? Get Ready, Get Set... Go Reading! I Write; Therefore I Read! Reading Aloud = Free Entertainment! Reading for Life: Let's Go Shopping! Speed Reading: Do I Want to Read at 500 words per minute? Using Poetry: Mary had a little lamb. where art thou, Romeo? How Many Songs Do You Remember? Why Wait? Develop Your Software Engineering Skills Now! Give Your Homeschool a Bible Centred Edge! What Skills Will My Child Learn from Studying Geography? The children who have contributed items for the Kids Pages live in Australia and all are educated at home by their parents. Site Map. Text on this site CC License: BY-NC-ND , Images on this site © All Rights Reserved 1999-2016.